With a credit union, you’re not just another account number, you are a member. This means that credit unions make their decisions based on what will be the most beneficial to their members rather than a group of stockholders. There’s a misconception that because credit unions, on average, are usually smaller than major banks, they don’t offer as many products. This is not true. Many credit unions offer the same services as banks, including car loans, mortgages, retirement planning, and more. 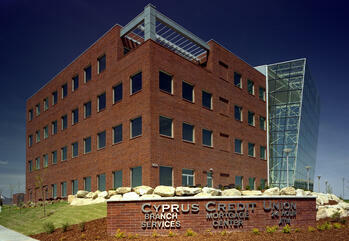 Credit unions are able to offer their members better rates as opposed to banks. Interest rates on savings accounts tend to be higher and rates on loans are usually lower. This makes credit unions a great option for those who are trying to save money. If your credit union is a member of the CO-OP network, you have surcharge-free access to more than 25,000 ATMS nationwide. There’s also the shared branch program which allows you to conduct financial transactions from more than 4,500 locations around the United States. So no matter where you are, you can have convenient access to your account.